Welcome to February’s Vidimus. 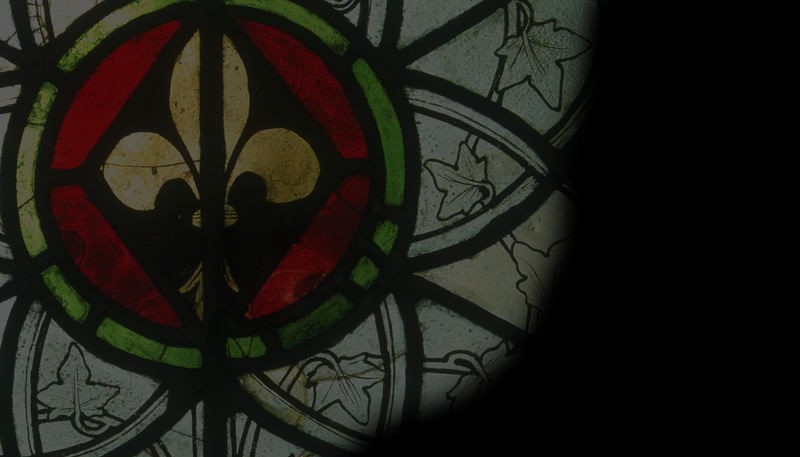 This month highlights the varied and innovative work, both academic and conservatorial, currently taking place in the field of stained glass. Our feature, by Sarah Brown, Director of the York Glaziers Trust, shines a spotlight on one of the fourteenth-century treasures of York Minster, currently undergoing restoration and marking the beginning of an extensive programme of conservation work at the Minster to take place over the next two decades. In Books, we are delighted to announce the forthcoming major publication by Dr Jasmine Allen of the Stained Glass Museum, on nineteenth-century stained glass and its place in the International Exhibitions of 1851-1900. In News, we look ahead to upcoming lectures and courses by the British Society of Master Glass Painters, the Stained Glass Centre and at the Stained Glass Museum, as well as providing a few reminders of events flagged in previous editions of Vidimus which are now drawing near. We finish with the news that York Minster and its stained glass feature among the UK’s most instagrammed visitor sites: an excellent sign of the art form’s bright future!